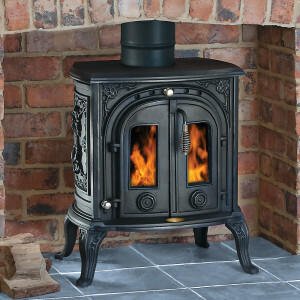 Stoves made out of steel or cast iron are often of best value for money. Their classic look means they are the most popular of the wood burning stoves, however their output is not always optimal. They heat the ambient air through the steel and cast iron hearth. The more sophisticated ones have a second combustion chamber burning gas as it goes out the flue to produce further heat. Both steel and cast iron stoves have their advantages. The main advantages of a cast iron stove is that they can be moulded into interesting shapes (modern fashion means they usually aren’t though – unlike the wonderful old Esse Dragons and some of earlier Scandinavian stoves). They also give off their heat for longer. The drawbacks are that they take a lot longer to heat up from cold and are prone to wear and tear and, worst of all, cracking. Steel stoves tend to be less aesthetic and also lose their heat quicker. On the other hand, they are quicker to heat-up, they don’t crack and the best modern, British made ones are technically far in advance of Franco Belges and the like. Some of the best and most advanced stoves made are out of steel. A recent stove installer I spoke with told me that the Defra approved stoves have a piece fitted that prevents you from closing the flue completely. This means that you are less likely to get the smoke particles in your home. If you are looking to have a stove able of storing the heat produced then a good option is a masonry heater made out of cast iron. They have heat-resisting materials with a long inertia and you can fit them in your chimney breast. They are made of materials able to store heat like bricks, refractory concrete or volcanic rocks. A masonry heater always burns wood at the highest heat, if you desire less heat, you simply use less wood. In a well insulated home, a masonry heater will use a third less wood, than a home heated with an old fashioned metal wood stove. A well-designed masonry heater can easily outperform most metal wood stoves. And like a wood stove, a masonry heater can exhaust through a metal flue pipe. In almost all ancient northern cultures, you could find a masonry stove. About 600 years’ ago, a long cold spell caused local wood to become scarce and therefore masonry heaters became popular as they are more efficient. However, coal and oil have replaced the masonry heater in the last 100 years. Pellet fuel stoves burn compacted pellets usually made of wood, but they can also be derived from other organic materials. Some models can burn nutshells, corn kernels, and small wood chips. Pellet fuel stoves are more convenient to operate than ordinary wood stoves or fireplaces, and some have much higher combustion and heating efficiencies. As a consequence of this, they produce very little air pollution. 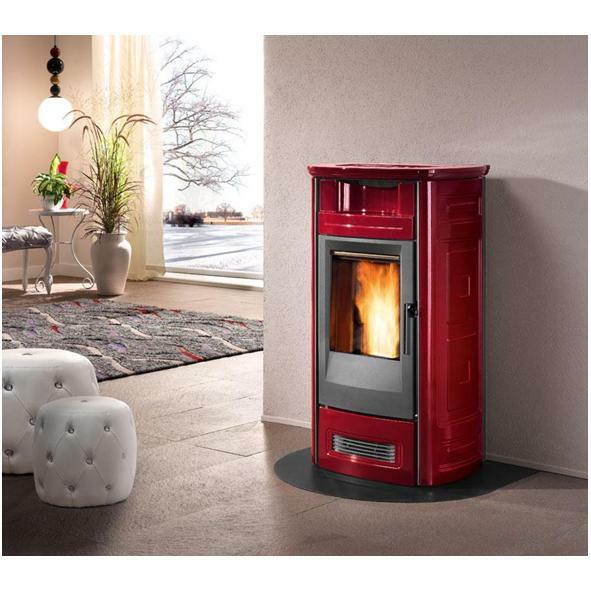 In fact, pellet stoves are the cleanest solid fuel, residential heating appliance available. 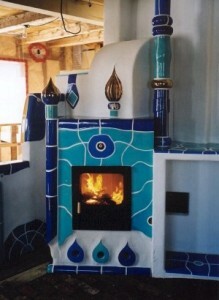 A pellet stove is often cheaper to install than a conventional wood-burning heater. 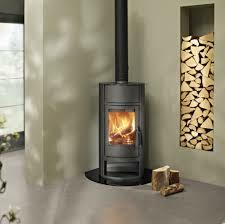 Many can be direct-vented to the room and do not need an expensive chimney or flue. As a result, the installed cost of the entire system may be less than that of a conventional wood stove. 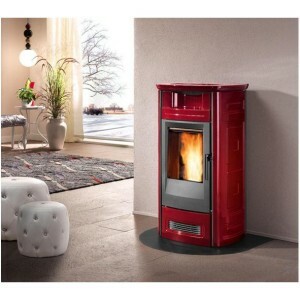 You can choose between a freestanding or fireplace insert pellet appliance. Pellet-fireplace inserts fit into existing fireplaces. Pellets are stored in a fuel hopper until they are needed for burning. A feeder device, like a large screw, drops a few pellets at a time into the combustion chamber for burning. The heat output is determined by how quickly pellets are fed to the burner. The exhaust gases are vented by way of a small flue pipe that can be directed out a side wall or upwards through the roof. More advanced models have a small computer and thermostat to govern the pellet feed rate. Pellet appliances usually require refuelling only once a day. However, because the fuel is compressed, the bagged pellets can be difficult to lift. Some models use bulk-filled storage systems and are fully automatic. Unfortunately, pellet stoves are also more complex and have expensive components that can break down. They need to be cleaned by the homeowner on a weekly basis and by a professional on an annual basis. They also require electricity to run fans, controls, and pellet feeders. Please note that Document J was updated as of October 1st 2010. The big changes are that a CO2 alarm is now a requirement, the recommendations covering room ventilation have been altered and added to the document. 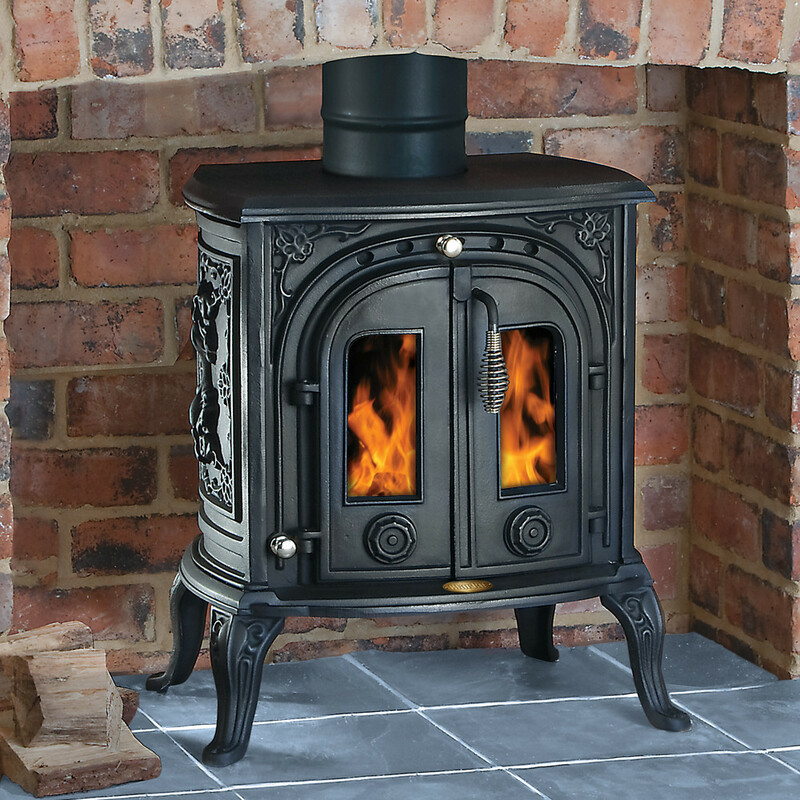 Defra Exempt stoves can now be connected to a 125mm chimney if they have a 125mm outlet, pellet stoves can be connected to 100mm chimney as long as the chimney is of the right type. Approved Document J of The Building Regulations stipulates that any work that affects an existing chimney (ie fitting a new stove or liner) or creating a new chimney now comes under building control. An existing chimney or a new flue or chimney installation must be given a visual inspection to check that it is in good order, clear of obstructions and is of a suitable size and type for the appliance you plan to install. It may be necessary to sweep the flue (which should always be done anyway before fitting a stove or lining a chimney) and also, if necessary, to do a smoke test to check for gas tightness. Every year, preferably before each heating season, the inspect your wood-burning system. In addition to cleaning the chimney, you can find a certified chimney sweeper. Most chimney sweepers should be members of APICS and Hetas. This article was posted in Eco-friendly, General, Heating. Bookmark the permalink. Follow comments with the RSS feed for this post.Post a Comment or leave a trackback: Trackback URL.